Are you an active member of the outdoor community or associated with an organization that is? Do you consider yourself pro-environment, understand the value of the outdoors and the fragility of the environments that we play in and love? We can help you become an ambassador for the outdoors through a Leave No Trace awareness course. 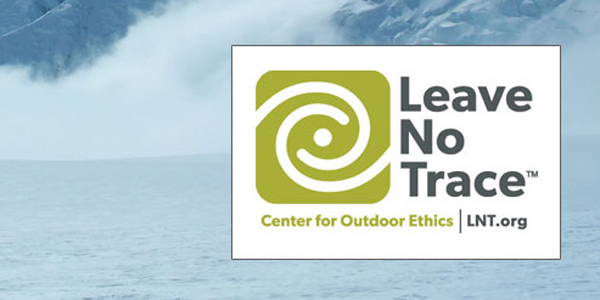 This comprehensive course covers the seven principles of LNT outdoor ethics and will leave you feeling proud to protect your environment and playground! The best part, this course is suitable for any age group – so sign up your Boy Scouts, Girl Scouts, Summer Camp, Meet Up, Family and Friends, Birthday Party or other group today! The Leave No Trace Center for Outdoor Ethics teaches people of all ages how to enjoy the outdoors responsibly, and is the most widely accepted outdoor ethics program used on public lands. We are proud to be associated with this world-class organization as Leave No Trace Master Trainers. *Please note: Minimum registration of 4 participants for the course to run.